We hope you all aren’t Bumbered-out yet, because there’s one day left to relish the music, arts, and fun that is Seattle Center on Labor Day weekend. It’s also really the last day to revel in summer before the autumn slog takes us all back to school, work or whatever your version of reality is these days. 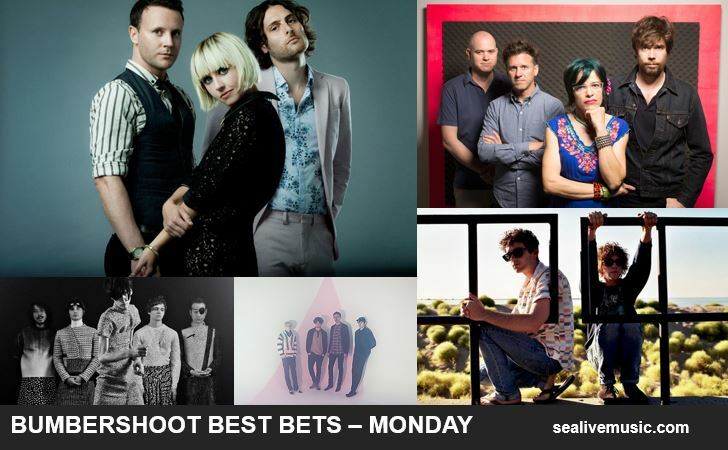 If you missed the first two days, Saturday and Sunday, your SEA live Music team will be posting a recap this week of some of the great acts we’ve taken in as we scurried from stage to stage. In the meantime, you can always keep up with us by following us on Twitter and Facebook. Tell your (preferably non-bot) friends too! If you’re up for braving the zombies that are inexplicably roving Seattle Center for one more day, take a look at our recs below (complete with big names next to local loves) and join us for the final chapter of Bumbershoot 2013.